Floyd Ciruli’s take on the latest anti-fracking campaign targeting Denver is the closest thing to an obituary we’ve seen since Mark Udall’s Senate campaign. Those out-of-state agitators plus a few Boulderites have zero clout and no one with any sense is backing their latest New York-style campaign to block energy production. 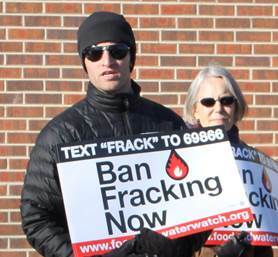 It’s hard to take these professional, for-pay activists seriously, especially when their crusade to end fracking hits rock bottom in Denver with cries of racism. Like their New York counterparts, the coalition plans to use the potential for drilling near Denver’s watershed and a 103-page compendium of health studies to mobilize the region’s 1.3 million residents against oil and gas development. Slow down there Shammy Sam, those health studies you fractivists like to lean on are seriously flawed and downright inaccurate. So while New York Governor Andrew Cuomo has banned fracking, his own health department readily admitted they had no evidence that fracking was the root of any health issue. Energy In Depth cited a whole host of problems with the frightening studies that fractivists fed up to the highly emotional New Yorkers in order to ban fracking. For an administration that promised to rely on “the science” of fracking, Cuomo’s team instead chose to kowtow to Yoko Ono, Mark Ruffalo, and all of the environmental pressure groups in New York. That dog might put on a fine show at Westminster, but it won’t hunt in Colorado.